Phillip Dutton and I’m Sew Ready. Photo by Jenni Autry. 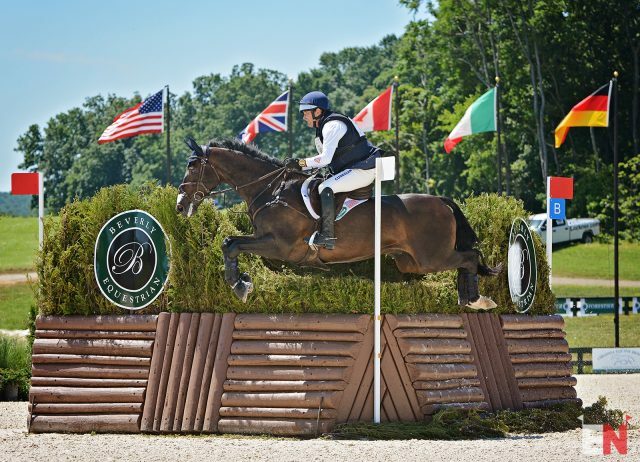 Phillip Dutton moved up one spot in the latest FEI World Eventing Athlete Rankings and now sits No. 2 on 531 points behind Michael Jung, who continues to dominate the top spot on the leaderboard with 644 points. Since finishing Mr. Medicott, Fernhill Fugitive and I’m Sew Ready inside the top 10 at Kentucky CCI4* in April, Phillip has continued to enjoy a very strong season. In addition to placing in the top 10 with Z and Fernhill Revelation at Tattersalls CCI3* in Ireland, Phillip also won the Jersey Fresh CCI3* with Mr. Candyman and most recently finished third in the FEI Nations Cup at Great Meadow with I’m Sew Ready. Mark Todd moved up one spot on the leaderboard to third with 495 points thanks to a slew of strong results with Leonidas II and NZB Campino. Nicola Wilson jumped from 10th up to fourth place, the highest she has ever been in the world rankings, with 467 points after finishing second at Lühmuhlen CCI4* with Bulana. Hannah Sue Burnett jumped into the top 10 in the world rankings for the first time, moving up to ninth from 12th on 406 points. In addition to finishing fourth with Under Suspection at Kentucky CCI4*, she also piloted Harbour Pilot to 10th in the Houghton Hall CICO3* and eighth at Lühmuhlen CCI4*. Stay tuned for an exclusive interview with Hannah catching up on her exciting season so far. Team USA has five total riders in the top 25 of the world rankings. Boyd Martin slipped two spots to 11th place on 392 points, Marilyn Little jumped from 35th to 14th on 356 points, and Buck Davidson moved from 38th to 25th with 282 points. Rebecca Howard is the highest-placed Canadian rider on the rankings, currently sitting in 137th position with 136 points. Hawley Bennett-Award is close behind in the 146th spot on 133 points.